Cleveland, OH – 6/24/16 – Solus Lighting LTD is happy to announce their nomination along with Event Source and the Cleveland Museum of Natural History for the esteemed ILEA Esprit Award from the International Live Events Association in the category of Best ILEA Team Effort. So many intricate details go in to planning and executing an event flawlessly: Assembling the proper team of specialists is critical. The Women’s Committee at the Cleveland Museum of Natural History relied on this group of world class, local event professionals for their bi-annual gala, Metamorphosis: A Celebration. The awards ceremony will be held on Saturday, August 13 at the JW Marriott Hotel in Austin, TX. ILEA honors industry excellence through its prestigious awards program, the ILEA Esprit Awards, which fuel a spirit of competition within designated categories. 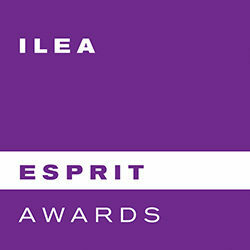 ILEA Esprit Awards gain worldwide visibility and recognition for ILEA members. It honors special event professionals who exhibit a “spirit of excellence” in their work. The importance of global industry recognition helps improve industry standards internationally and further promote our professionalism. ILEA is dedicated to recognizing excellence in events and rewarding those individuals whose vision and creativity make their events exceptional. The theme for Metamorphosis was inspired by the bold and innovative transformation the Museum is currently experiencing. In 2015, the Cleveland Museum of Natural History broke ground on phase one of a massive renovation and expansion slated to be complete in line with its centennial in 2020. The Museum will continue to be open to the public throughout the renovation and remains one of the premium event venues in Cleveland. Nestled in the heart of Wade Oval, the Cleveland Museum of Natural History offers a unique atmosphere for any event in a convenient location along with ample parking. Combining education and entertainment, The Cleveland Museum of Natural History creates an unforgettable event experience. The International Live Events Association (ILEA) is the world’s largest community of event professionals. ILEA members are dedicated to deliver creative excellence and professionalism for special events. The mission of ILEA is to educate, advance, and promote the special events industry and its network of professionals along with related industries. ILEA strives to uphold the integrity of the special events profession to the general public through principles of professional conduct and ethics, acquire and disseminate useful business information, foster a spirit of cooperation among its members and other special event professionals, cultivate high standards of business practices. To learn more about the International Live Events Association, visit www.ileahub.com.